Dr. Suzanne Vickberg, a social personality psychologist and co-author of “Business Chemistry”, joins Deidre and JG to share “wiZdoms” on navigating relationships within the workplace and in our personal lives. Curious why you click with some people, yet clash with others? While it’s great to click and difficult to clash, there is a way to find a common ground and establish harmony from our differences. This episode, “Dr. 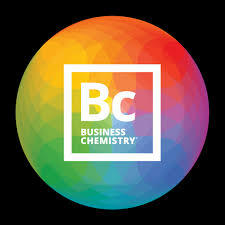 Suz” shares her insights from her book “Business Chemistry”, in which she identifies four different working styles that are common amongst people in the workplace. The key to avoiding clash relationships is to acknowledge these differences and learn to appreciate them. If you’re looking to strengthen relationships with people from all walks of life and even cope with stress, Dr. Suz is here to help us all. The pioneer, guardian, driver, and integrator. These are the names of the four main working styles in Dr. Suz’s “Business Chemistry”. Creating strong relationships starts here, by understanding these differences. Adapting & Flexing. Your working style is not a concrete definition of who you are. You can and should adapt and change your style to better work with the people around you. Havoc vs Harmony. Does it seem impossible to create harmony with the people that you clash with? Well, rest assured, it is possible to avoid havoc if you acknowledge your differences and play to your strengths while learning from others. Avoid the “why can’t you do it this way?” mentality. Thinking your idea is the only answer could lead to more tension. Instead, value how different perspectives can actually help! You might be surprised! Communication & Engagement. Building strong relationships is all about discussion. The more you understand about the people that you work with, the easier it is to find success. When stress factors in. We all experience stress differently and at different magnitudes. Considering how stress impacts us differently can help you overcome your differences and work better together! Think outside the box. We can all learn from each other. Don’t be afraid to take some lessons from everyone. Jump in and see what you can learn, you never know what you might walk away with! LISTENERS: How will you strengthen your relationships? Share your experiences and “wiZdoms” with us! Either leave us a voicemail at 646-653-9278 or send us an email. We may talk about it - or we may even talk with YOU - on the air! Follow GutwiZdom on: Facebook, Twitter, LinkedIn and Instagram! Or, download previously aired episodes, for free, on Itunes!! Make it a resilient GutwiZdom week!